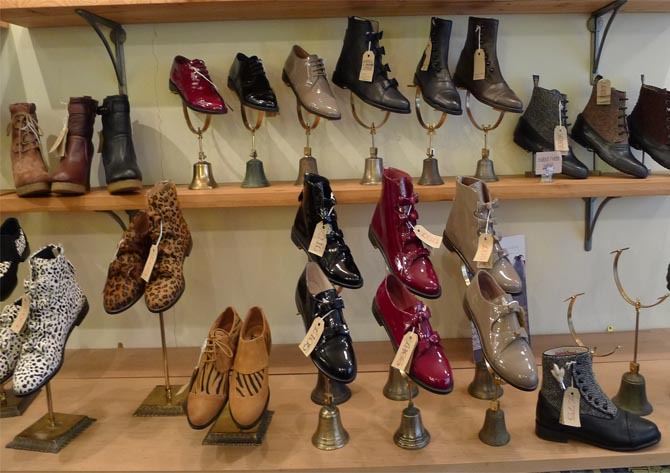 If, like us, you woke to a snowy wonderland this weekend, you might like to know about the sale of stylish tweed and rubber galoshes still on at F-Troupe. I’m not really sure such a functional word as galoshes really sums up the loveliness of these boots (you can see them on the shoe stand on the far right of the above left photo) which combine nice quality rubber with Harris tweed in a way that makes you think more Downton than Dunlop. They are lined in leather and are currently reduced to a reasonable £52. See better pictures of them here. 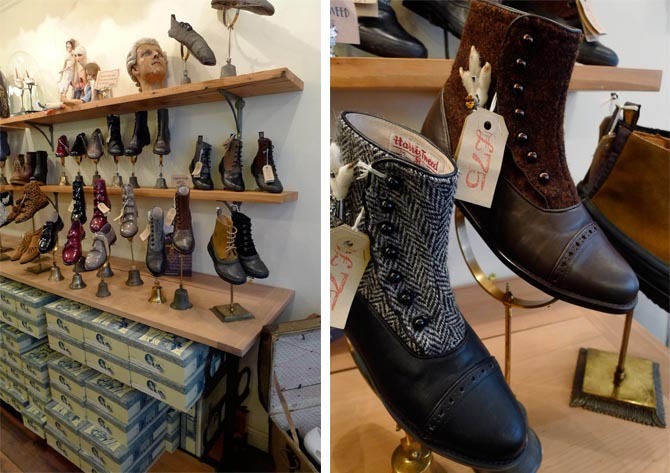 I also liked the leather and Harris tweed boots (right hand picture) which had a touch of Dickens about them (they even throw in a lucky rabbit foot charm on the design) and again looked perfect for the current weather. They are currently £74 in the sale here and come in different tweed colours. 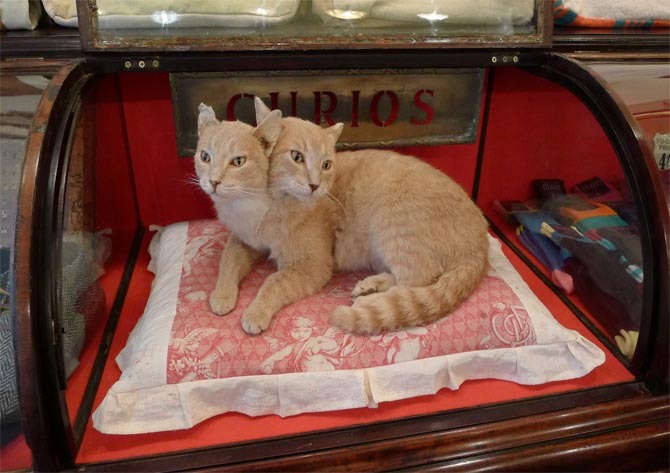 The tiny flagship shop, in Marshall Street, just near Carnaby St in London, is not your normal shoe store either, which suits us fine, but just to warn you, the double headed taxidermy cat features as a central display (it’s a relic from an American Freaks Circus). If you can cope with this, then it’s well worth a visit if you are passing (although it’s up a side street, so it’s more a ‘destination’ store as us retail commentators like to say). Nice staff, interesting surroundings and shoes that are both wearable and beautiful quality, got to be worth a look, right? 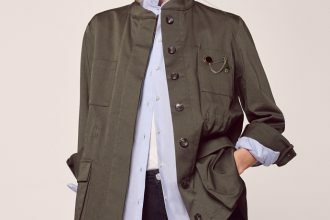 For more styles, do visit the website and for those unable to visit the store, there are quite a few stockists around the place. Previous articleOnesies: Just say no!